Global NCAP previously crash tested Tata Nexon in August and the SUV got a 4-star rating. Not satisfied with the result, Tata Motors sent another Nexon unit with improved safety to achieve five out of five rating. 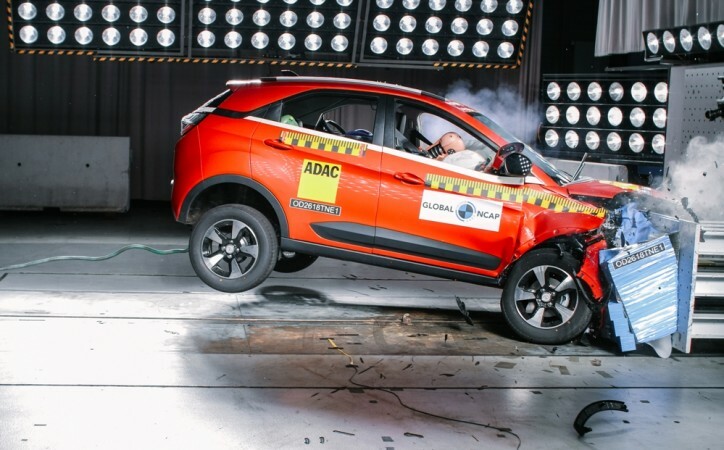 The global safety watchdog Global New Car Assessment Programme (Global NCAP) crash tested Tata Motors' Nexon compact SUV in August this year and it has received an impressive four out five stars. However, Tata Motors wasn't satisfied with the result and sent another unit of the Nexon with increased safety for the crash test again. Tata Motors' compact SUV has raised the bar in terms of safety and scored five out of five stars in the latest crash test conducted by Global NCAP. 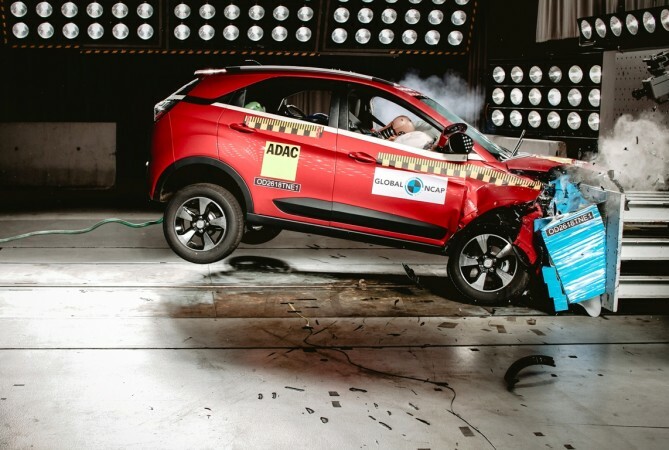 The impressive performance aided Tata Nexon to become the first made-in-India and sold in India vehicle to achieve the Global NCAP's five-star crash test rating. Tata Nexon scored five stars for Adult Occupant Protection and three stars for Child Occupant Protection. Tata Motors comes with an array of safety features such as dual airbags, dual pre-tensioners, ABS and ISOFIX anchorages as standard. The Nexon unit tested in August comes with all these features while Tata Motors has improved the safety further by making a Seat Belt Reminder (SBR) for driver and passenger a standard for all variants. In addition, the Nexon passed a side impact test meets UN95 side impact protection requirements this time to get the full star rating. Global NCAP reports claim that the tested Nexon unit offered good protection for both adult head and neck, marginal protection for the driver's chest and adequate protection for passenger's chest. The pedals showed some risk for the lower legs due to their displacement. The 18-month-old child dummy received good protection while the 3-year-old child passenger showed high readings in chest and head exposure. "This is a huge landmark for car safety in India. 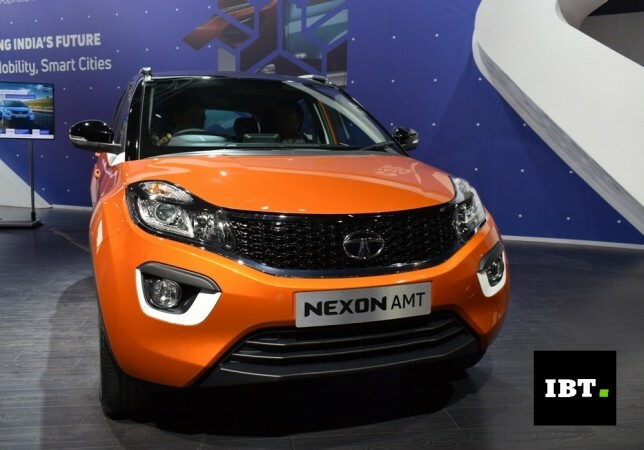 Congratulations to Tata Motors for achieving India's first five-star rating for adult occupant protection... With the Nexon, Tata Motors has shown the global car industry that to achieve five stars you can 'Make in India'. Global NCAP is looking forward to many more Indian five star cars and further improvements in both pedestrian protection and crash avoidance," said David Ward, Global NCAP Secretary General. The latest crash test will give Tata Nexon an edge over its rival-in-chief-- Maruti Suzuki Vitara Brezza. The Maruti Suzuki compact SUV had also undergone Global NCAP crash test in September this year and it received four out of five stars.